Missouri Faith Voices pastors and activists have advocated for reform on the federal, state, and local levels since 2011. 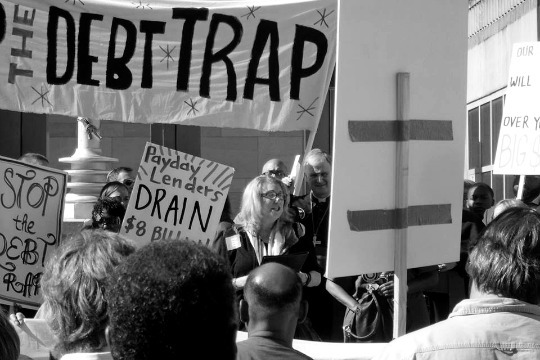 On June 2, 2016, we brought buses of clergy and laity from across the state to testify for predatory lending reform at the federal Consumer Financial Protection Bureau (CFPB) hearing in Kansas City. This historic hearing was significant in that the CFPB released rules that proposed regulation against payday lenders. At the hearing, Jennifer Trogdon, from Springfield, testified before the CFPB. Our Executive Director, Rev. Dr. Cassandra Gould, was one of the four panelists from across the country who testified in favor of regulation. 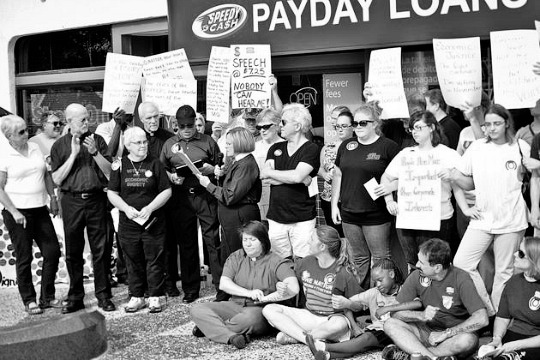 The leadership of Missouri Faith Voices, in fighting for families caught in the debt trap caused by predatory lending, has garnered national attention. This has led to our Director being a member of the African American leadership table for the CFPB. She also represents Missouri and PICO as a member of the steering committee of the Faith and Credit Roundtable of The Center for Responsible Lending. Missouri Faith Voices also represents the PICO National Network as a founding member of Faith for Just Lending, a national Christian ecumenical coalition that fights for predatory lending reform. On the state level, Faith Voices has worked to secure bipartisan sponsorship of a rate cap bill, which was introduced during the 2017 legislative session. On the local level, Faith Voices of Southwest Missouri hosted the executive leadership of the CFPB in a town hall during the Fall of 2015. 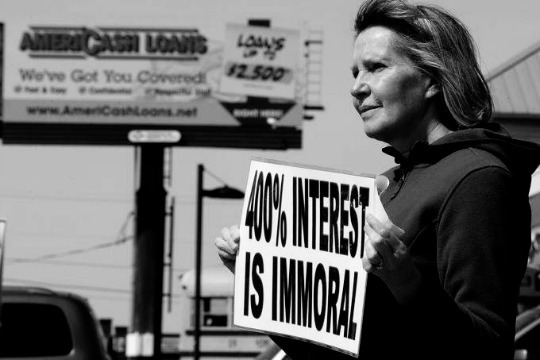 In this meeting there was public testimony from those in the debt trap. As a result of this meeting, Faith Voices of SWMO persuaded the Springfield City Council to add predatory lending reform to its legislative priorities and to endorse strong regulations from the Consumer Financial Protection Bureau. Our work also helped to inform and support the introduction and passage of Proposition S in St. Louis which provides some local regulation of predatory lenders. We continue to defend the work of the CFPB and to fight against federal legislation such as the Choice Act that seeks to remove regulatory authority from the CFPB. Click here to learn more or join our predatory lending work.